« How long must I walk alone? To walk and produce fruit, you must remain in Him! Fighting to stay focused for my OneWalk with the Son, under the sun. The feeling of loneliness can create all kinds of false emotions. The truth is you are never alone. You must remain in Him, for He is always in You. 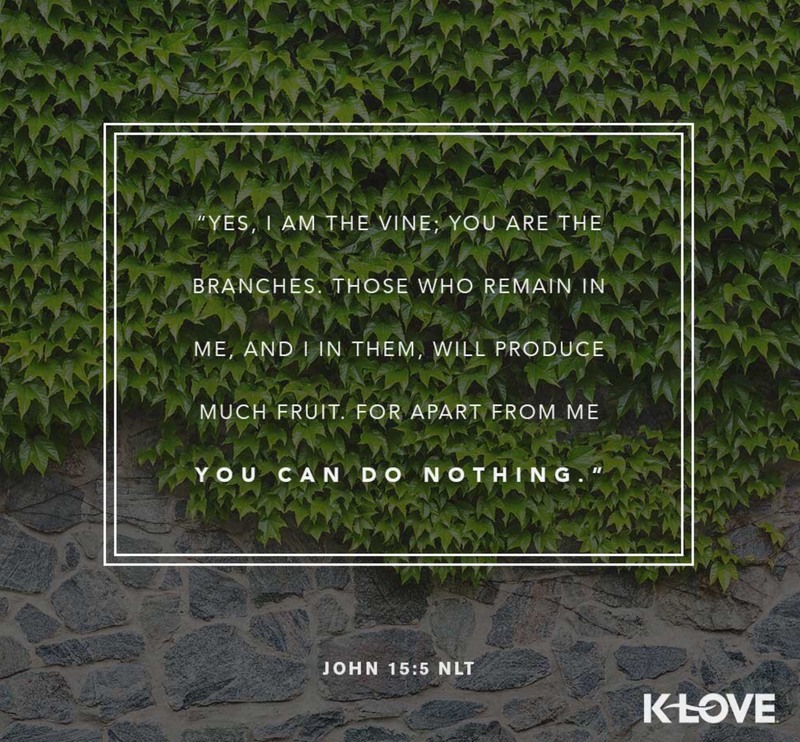 "Yes, I am the vine; you are the branches. Those who remain in me, and I in them, will produce much fruit. For apart from me you can do nothing. Remain in me, and I will remain in you. For a branch cannot produce fruit if it is severed from the vine, and you cannot be fruitful unless you remain in me. My links to Bibles, Devotions, Apps and resources I use to stay focused on Jesus throughout my day. This entry was posted on September 26, 2018 at 7:19 am and is filed under One Walk. You can follow any responses to this entry through the RSS 2.0 feed. You can leave a response, or trackback from your own site.